Eyeliner has been used for thousands of years to draw attention to the window of the soul. The Egyptians believed their eyeliner-prevented disease. Here at Ibrauhaus- NYC we offer the delicate precision of permanent eyeliner, as well as other permanent make up. Considered a cosmetic tattoo permanent makeup can save time and money and is an application to a lifetime of beauty. Our trained team also includes cosmetic tattoo removal for those who have outgrown their desire or the look of their permanent makeup and or are unhappy with results from another cosmetic tattoo artist. Our certified staff is very professional when it comes to both these procedures handling them with the utmost care and accuracy. Who Should Get Permanent Make Up? If you are drawing on eyeliner and lip liner everyday as part of your morning routine and reapplying halfway through lunch, imagine the possibilities permanent makeup could do for you. Without the smudging or sharpening of pencils all you would have to do to get ready is be yourself. Our cosmetic tattoo specialists are professional artists who get the best results for your makeup. They guide you through the procedure helping to distinguish what exact shade you want and how you want the final product to appear. Then using the latest in technology they apply the permanent makeup after applying a local anesthetic. When considering getting permanent makeup the decision can feel like a commitment. Although it is a commitment it is a commitment to yourself and letting your inner beauty shine out more. As it is considered a cosmetic tattoo the application of the pigment goes directly into the skin. This means that the results are long lasting. The freedom that comes with permanent makeup, not having to purchase or apply eyeliner or lip liner is also long lasting. This application can last for up to five years, for some people even ten. If you wish to change the color or get it touched up that is always recommended. With any tattoo or cosmetic tattoo there can be a time of excitement and newness where we are in love with the result and the appearance of ourselves. For many this feeling of contentment continues and we are happy to leave the e permanent ink. However for others there can be some thought of change and this is where we begin to desire a different appearance. With this budding change of thought we can start to look into tattoo removal. This procedure removes the permanent make up from the skin. Tattoo removal can also be a saving grace from less experienced cosmetic tattoo artist make up job gone wrong. How Long Does Tattoo Removal Last? For some once this change in desired appearance has started it is best just to get the tattoo removal done. Whether it for an upcoming even or just your own peace of mind. The process of tattoo removal is permanent. 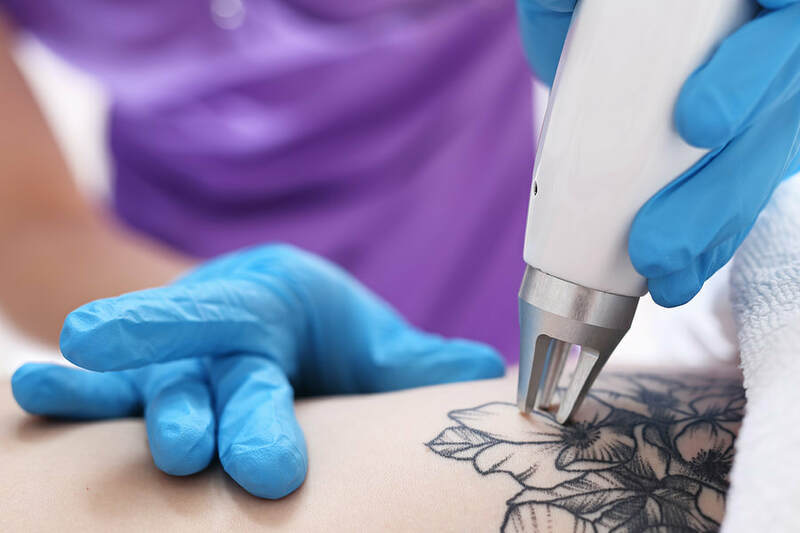 It is important to note that the ability of the skin to flush out the ink comes into play with the number of tattoo removal sessions that may need to be booked. Once the ink is removed from the skin the tattoo is gone and you are back to your old self before the tattoo.